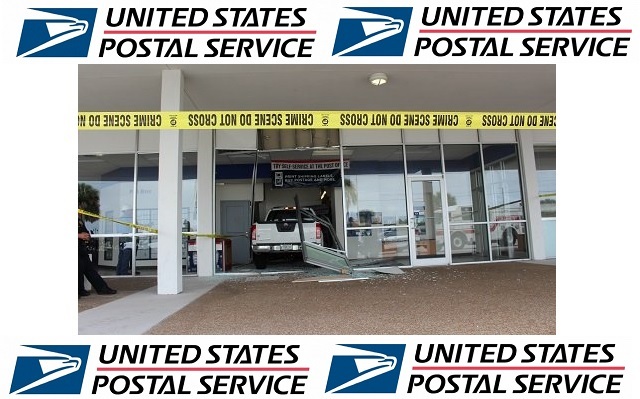 TITUSVILLE, Florida - An elderly man accidentally crashed into the Titusville Post Office on Friday. At approximately 11:45 a.m., Titusville Police Officers responded to reports of a traffic crash at the United States Post Office located at 2503 South Washington Avenue in Titusville, Florida. According to the Titusville Police Department, the preliminary investigation has revealed that Gordon Eugene Brown, 82, of Titusville, inadvertently pressed the accelerator instead of the brake as he was attempting to park his 2015 Nissan Frontier truck in a designated parking spot. The truck crashed through the front glass doors and came to a stop in the lobby of the post office. Brown was not injured in the crash. No one inside the post office was injured.